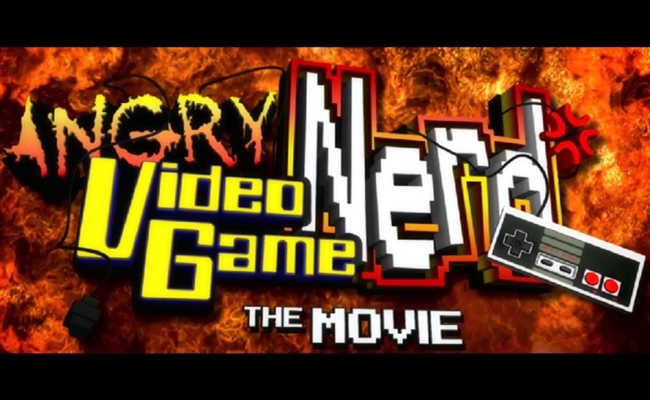 The first time I ever heard of crowdfunding was with the Angry Video Game Nerd movie, way back in 2012. It wasn’t even called crowdfunding back then, or if it was the term escaped me for years. Looking back on it now, its funny to see how antiquated the page reads compared to modern day high profile pitches. None of the rewards came with a copy of the film! No crowdfunding creator could get away with not giving away a copy of their product to backers these days. Its just a reflection of the rapidly changing times. The other big difference is that platform used. The AVGN movie did not launch on Kickstarter, but Indiegogo. You remember Indiegogo, right? They’ve changed their logo just about every month for the last year, but they’re still around. We cover Kickstarter so much it’s easy to forget about the second most popular crowdfunding site. But can you blame us? Have you seen the gaming section over there recently? Kickstarter took off because of Double Fine and their own crowdfunding project also in 2012. While the Angry Video Game Nerd movie certainly helped to bring in new users, Indiegogo failed to maintain that momentum. They even had the advantage of the AVGN campaign launching months before the Double Fine Kickstarter one. So what happened (or rather what didn’t happen) that made Indiegogo fall by the wayside? Indiegogo has two major issues working against it. The first and most obvious is the near total lack of quality control. It’s become the site where developers who can’t find success on Kickstarter, or who are afraid of being taken down, go to seek their funds. A Video game for every age, Save Them Up Wildlife Protection Awareness Game, and Our Game, Orical are just a few examples of the hot garbage that’s about to take a bow. My favorite campaign though has to be Help fund me for a new pc. “Hello my name is rakesh and I am an Indian,” the description reads. “the person in the picture is my brother who is very stubborn. It’s a short but incredible campaign. The thumbnail image and the image on the page itself are works of art, especially with the “Kickstarter Staff Pick” badge poorly photoshopped in. I won’t spoil it for you, but the one update on the page is… I don’t know the right word. Majestic? Alluring? Scrumptious? Look at the game section on Indiegogo, and for every one decent gaming campaign, there are at least ten campaigns that would never be allowed on Kickstarter. Campaigns with just one image and two or three sentences of text, stolen assets, trolls like our friend “rakesh.” There’s certainly a thick layer of crap on Kickstarter, and I’ve been vocal about Kickstarter needing to implement better quality control standards. But this? Why is this allowed to get equal promotion and placement as something like Long Gone Days or Edge of Twilight? It doesn’t help that even finding video games is a chore. There are no sub-categories like on Kickstarter, instead everything is lumped into the generic “game” category. Not only do you have to sift through terrible video games, but also board and card games, Youtube channels, and other various game related projects. This is what “A Video game for every age” looks like apparently. If there’s one thing Indiegogo hasn’t been able to shake, it’s the flexible funding system. On other crowdfunding sites like Kickstarter or Fig, a project has to reach its funding goal to get the money pledged to it. That’s not the case with flexible funding. With it, a developer can claim all of the money donated to them, regardless of how close they get to their goal. It should come as no surprise that every campaign I’ve shown so far use this method of funding. There has been a fixed funding goal system implemented however. With this system, the campaign has to reach its goal to make any money. It gives developers who use it some level of respectability on the site, but there’s no reason for anyone to use it. This is reflected by the sheer number of project creators who don’t. One could argue flexible funding is a great way for developers to get some funding for their game. This way, if they don’t get the full funding, they can just scale back their scope, or maybe use what they did get to make a prototype to try again, or take to investors. But how often do you think that actually happens? How often do these projects with tiny budgets get the kind of cash to do anything other than buy a pizza? All it really does is open the door to people seeking a quick buck. It’s why Indiegogo has attracted so many grifters, scammers, and lazy developers. The administrators refusal to suspend or cancel any campaign, even obvious trolls and scams, has only encouraged would be campaigners. If you can bash something together in under an hour and make a profit from it, however small, knowing no one will stop you, why not try? These campaigns do nothing to help the site. 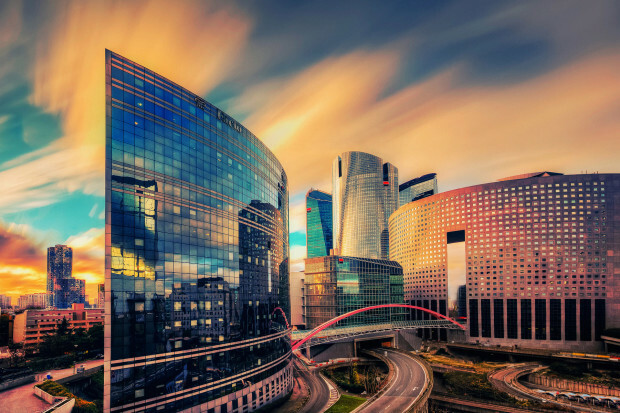 However much profit Indiegogo makes from these campaigns is nothing compared to how much they could be making from attracting bigger and better fish through quality control. Whenever there are quality games there, most of the time they either barely make the goal or outright fail. RPGolf is a great example of a shady Indiegogo campaign. Indivisible is the perfect illustration of how this in action. Lab Zero had previously used Indiegogo to fund content for Skullgirls in 2013. When they started work on their next project, Indivisible, two years later, they went right back. By 2015, Kickstarter was already well and truly the dominant crowdfunding source, yet Lab Zero ignored this. Despite their previous success, the huge boost in marketing they got from being screwed over by Konami, and Indivisible having a damn good campaign, Lab Zero almost failed. They had to extend the funding period 20 days to make it, finally ending with over $1.9 million. It’s the highest funded video game on the platform, but that doesn’t mean much relative to the rest of the highest funded campaigns there. The second highest funded game is none other than Skullgirls, which raised north of $820,00. Indivisible’s funding goal was $1.5 million, which was almost double the amount of Skullgirls. In comparison, The Bard’s Tale IV raised that $1.5 million dollars on Kickstarter with a goal of only $1.25 million. It’s a different circumstance granted, The Bard’s Tale is a popular franchise with big names behind it, and that it managed to raise less than Indivisible does seemingly proves me wrong at first glance. But would you care to guess how many games went beyond than that $1.5 million mark on Kickstarter? Here’s a hint: it’s in the double digits. Indivisible protagonist Ajna, wondering what could have been. Time’s up, and if you guessed 17 then you probably cheated. 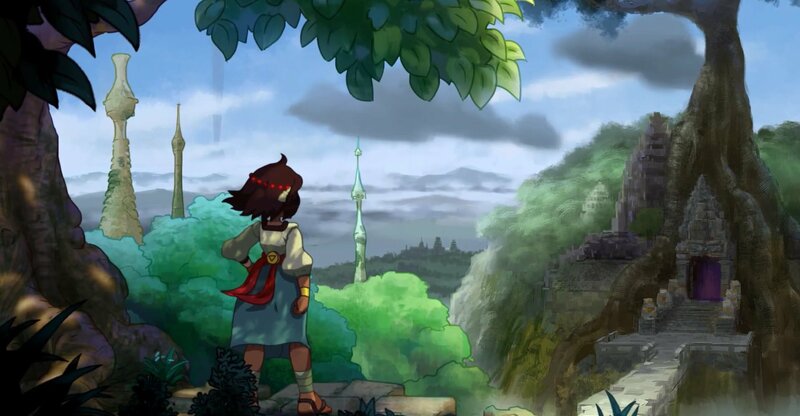 17 different games on Kickstarter raised more than Indivisible, and 23 earned more than its initial $1.5 million goal. It’s impossible to say how well Indivisible would have done on Kickstarter, but an educated guess will tell you it would have gotten more than it did. If nothing else, it illustrates the massive gap in not only the dollar amount, but the quality between the two sites. We’ve reached out to Lab Zero and asked them why they chose Indiegogo, and will update this article when (if) we hear back. These days it’s rare for a big gaming publication to pick up a story on an Indiegogo funded game. Try finding the aforementioned Long Gone Days or Edge of Twilight anywhere other than sites that specialize in crowdfunding, and you’re in for disappointment. Even finding info about such games post-release is like finding a Pewdiepie video with properly disclosed sponsorship. It’s equally difficult (if not impossible) to find a big name developer on Indiegogo. The Keiji Inafunes, Brian Fargos, and Obsidians of the world all turn to Kickstarter. Now whether that’s a good thing is up for debate, but there’s no doubt those are the names that bring in backers, and at least some level of quality. Mostly, anyway. Long Gone Days is well worth your attention. The biggest losers in all of this are developers. Anyone who uses Indiegogo, for whatever reason, suffer. They don’t get the media coverage Kickstarter projects get, and the cesspool around them rubs off on them in the public perception. Every time I see a promising game there, I have to wonder why it’s not on Kickstarter, if it’s a scam, or if there’s some dubious developer behind it. It’s not always the fault of the developers, as there’s simply nowhere else to go to seek crowdfunding for games. Kickstarter needs a competitor, because right now they have a near monopoly on crowdfunding. Patreon, with its monthly payout system, isn’t suited well for development. GoFundMe is more for charity work. Fig and other start-up game focused crowdfunding sites haven’t yet proven their viability, and usually fail within a year. That’s just counting video game related sites, crowdfunding desperately needs a good competitor to Kickstarter. It’s not that Kickstarter has done anything wrong, but a true competitor always drives improvement and better treatment of customers. Kickstarter has no reason to change anything because it has no real competitor. I don’t know if Indiegogo can turn it around, or if the name’s too tarnished. It’s still the second biggest crowdfunding site, going so far to call themselves “the Largest Global Crowdfunding & Fundraising Site Online” though who knows where they’re getting that from. But being number two when the gulf is that wide doesn’t account for much. One day Indiegogo will fall into irrelevancy, either because of its low quality standards or a new crowdfunding site will rise to offer a real competitor to Kickstarter. This article has been updated to better reflect the author’s intent.